Lasso'er Pier K. had a great tweet a few days ago about his solution to the question which most of us get asked frequently (I don't care how large a company you are, it never goes away): "What happens if you get hit by a bus?" Pier's solution was simple: Ride the bus. If you are on the bus, how can you get hit by it? I'd love any other answers you guys might have to this question, it is always good to have some good answers to this issue. I have my own answer for this, although typically I answer the question by changing it to something else (i.e. "What happens in case of nuclear war?"). The more formal description of this issue is, of course, BCP (Business Continuity Planning), or planning for the worst case scenarios. This is a hot topic in the world right now, as weather and terrorism are always at the top of our minds. Given that we have had two tornadoes and an earthquake - with a hurricane up-coming - it's a real issue. I will take this moment to note that I have used the fact of Lasso's security (if only through its relative obscurity) to make the point that Lasso is an excellent option for companies looking for a solution for their own Business Continuity Plan when planning for emergencies. PHP and .NET are much more likely targets for a mass terrorism attack than our little community, and the terrorism of the future will likely happen on the web. As for the handling of this issue closer to home - we already have something in place, but we are introducing some new mechanisms to help you answer the question. One of the obvious issues is at the highest level: what happens in case of the disappearance of LassoSoft? What will happen to the Lasso language? As we all know, we almost DID lose it last year. LassoSoft fell on hard times, the core of the team left to make money elsewhere, and the language basically stopped in its tracks (or slowed forward momentum to the point where it looked like it had stopped). How can we prevent this from happening in the future? Very simply, we introduced an Escrow service. The Escrow service is designed for companies who are afraid of the "getting hit by a bus" syndrome with the LassoSoft product. In other words, some companies are afraid the Lasso language might disappear one day in the case of dissolution of the company or Act of God (tornado, atomic bomb, etc.) to the people who create the product. (Noting, of course, that we have a few core developers located thousands of kilometres from us). With the Escrow membership, the member gets an encrypted version of the Lasso source code which they can hold locally. Should something happen to the Lasso company, a third party gatekeeper (in another country, in another location) releases a key for the encrypted files, and the files are then available as "open source" for that companies' use. Under extraordinary circumstances (say, for example, Canada sinks into the ocean), one of these unnamed gatekeepers has the right to open-source the whole shooting match. Honestly, if Canada is gone, most of the world's good comedians will be unavailable, and the world - now void of laughter and happiness - can have Lasso for free. Effectively, this service puts our Business Continuity strategy on on par with other "open source" projects, with the current benefit of increased security of the closed core of Lasso. As we all know, Lasso is not officially open-source, however, given the extraordinary amount of open code in Lasso 9, we can officially adopt the mantle of "open-surface" anyway (just like Microsoft did recently). This escrow membership is just in case of a worst case scenario disaster. Your client can be at ease - if necessary - knowing they have the best of both worlds with their product: security and a BCP. We are now offering a new answer for your "Hit by the Bus" issue. Effectively immediately, all CLDs will be covered with a guarantee that in case of an emergency affecting them, a senior developer will be available to take over for them when needed and keep their project moving forward immediately. In other words, if you are a developer - on your own, or working within a company - we guarantee that as a CLD (Certified Lasso Developer), our developers will be available 24/7 to solve your client's/company's issue should you get hit by a bus. If you get sick, break your leg, have a heart attack, fall to your death climbing or choke on a Cheeto, your Lasso code will be looked after until a suitable replacement can be found for you with your company. We'll keep the Lasso server online as well, if needed. Note that the guarantee is that "someone will be available immediately in your time of need/disaster", but this person is a paid hourly service. (i.e. if you break your neck, we will be there to call on for your client, but you pay us by the hour at our industry appropriate rates). Additionally, the expectation is that your company/client will endeavour to replace you within 90 days. We will provide the training and support (again, paid) to find a suitable replacement if an existing CLD doesn't fit the bill. If there was ever a reason to become a CLD, this would be it. Your client and/or your boss can be saved the stress of being left in the dark in an emergency with no one to turn to but the local employment ads. When you have a sales call with your next client, let them know that you (and the code you write) are protected by a third party organization in case anything happens to you - but it is only guaranteed if the code you are writing is Lasso. See more details at Continuity Assurance. Please, feel free to post your CLD Code Continuity Assurance Logo anywhere you please. You are protected by the Lasso development community (through us as a mediator), and this should help you sell more code in the future and grow your business and/or get a raise. Stick that in your pipe and smoke it, PHP. In addition, we will also be offering a number of training options in the near future. One course in particular which will help answer the classic bus question is the PHP to Lasso Developer course. This one-on-one program, lasting only a week, will get an intermediate PHP developer up to speed in the Lasso community and learn the elements of Lasso syntax and usage in a very short period. Consequently, any PHP programmer you hire can be quickly up-skilled to use Lasso in as little time as it takes to drive across Canada. This course will involve a 3 hour session every day for 5 days, from several different actors from LassoSoft, and further ongoing coaching every week for an additional three weeks. During this period, an intermediate programmer with an understanding of web technologies will come out the end capable of writing and passing the CLD test and functionally operating as a Lasso developer in Lasso 8 or 9 syntax. This offering should ensure that no company who chooses Lasso should be without a solid developer when they need one. As part of the process, we will be able to assess whether the individual's coding competence is enough to be a developer strong enough to ensure there are no security holes or critical issues in their code. 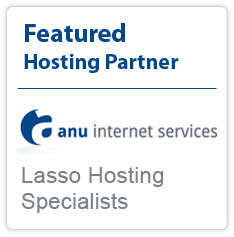 Hence the overall level of developer competence in the Lasso world will be maintained as we attract new developers. It is not hard to find a PHP programmer. It is, however, hard to find a good PHP programmer. We'll run them through the paces to ensure they become an excellent Lasso programmer and have a secondary toolset quickly. The world is filled with undiscovered Lasso programmers, and this should be an effective onramp to getting more there. As this course in particular is a one-to-one, virtual offering, we can ensure that the developer taking the course understands everything necessary to producing good code accordingly. I look forward to your feedback, as per usual!